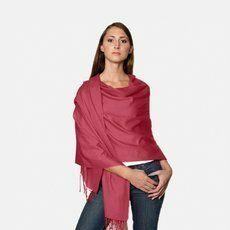 Pashima Shawl Sale Only $9.99 Each! You are here: Home / Great Deals / Pashima Shawl Sale Only $9.99 Each! What a great deal perfect for Mother’s Day & Teacher’s Gifts this year! Check out Tanga for this Pashima Shawl Sale Only $9.99 Each! Choose from tons of trendy and classic colors. These are great for dressing up a pair of jeans and a simple tee! Grab this and other hot daily deals every day at Tanga!